CD Projekt RED has previously teased that Cyberpunk 2077‘s Night City will have a lot for players to explore. But this isn’t limited to outdoor spaces. Lots of things will appear inside of buildings too. This revelation came after a developer’s responded to a fan question on Facebook. On Reddit, a user posted their Facebook exchange with a CD Projekt RED representative. The exchange began with the fan asking how the size of Cyberpunk 2077’s game world compares to that of The Witcher 3. 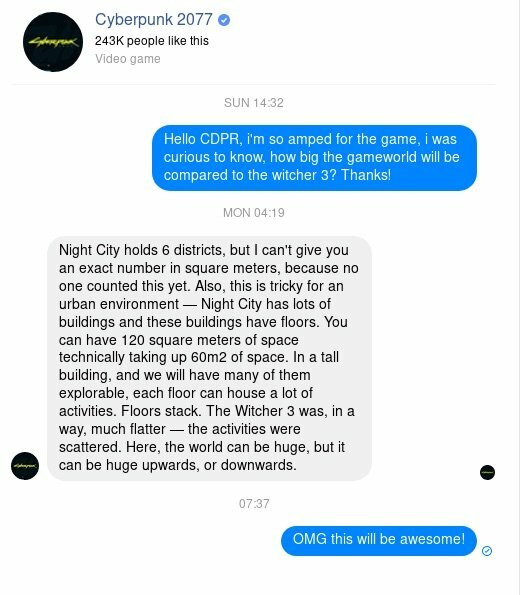 The studio rep couldn’t delve into explicit detail since, according to them, it’s difficult to measure the scale of Night City. Interestingly, much of the difficulty stems from the city’s verticality. Many buildings in Night City will feature multiple floors to explore. Each floor houses a number of activities. What these various activities will consist of remains shrouded in mystery. Additionally, it’s also unknown exactly what CD Projekt Red is referring to when it talked about “activities.” Could it be referring to minigames and miscellaneous challenges, perhaps? At any rate, it’s intriguing to get another tease of just how dense the studio is making Night City’s six unique districts. The wording of the response also suggests buildings won’t be the only spaces housing activities. With the rep’s use of “downwards,” it seems underground locations will have multiple floors too. 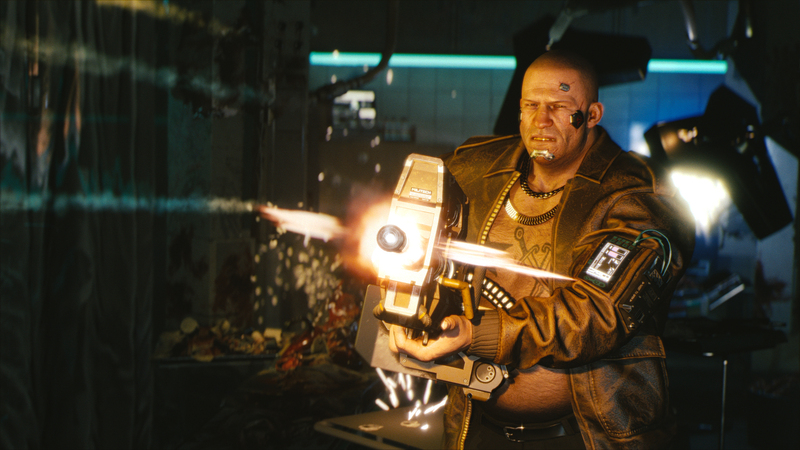 Beyond the main story, not much is known about what Cyberpunk 2077’s open-world will offer. Apparently, side missions will to play a large role, specifically because of their quality. CD Projekt Red has previously noted that it hopes players do not find it jarring to bounce between side missions and main missions. Similar to The Witcher 3, secondary quests should feel just as high-quality as those on the main story path. As of now, CD Projekt RED has yet to reveal an official release date for Cyberpunk 2077.